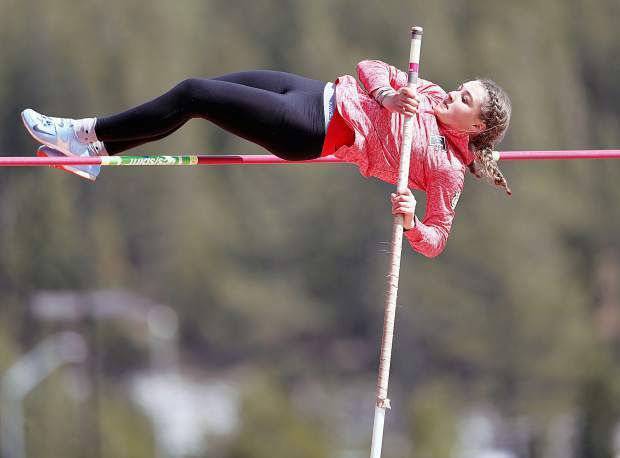 The Truckee golf team picked up a pair of league wins last week. 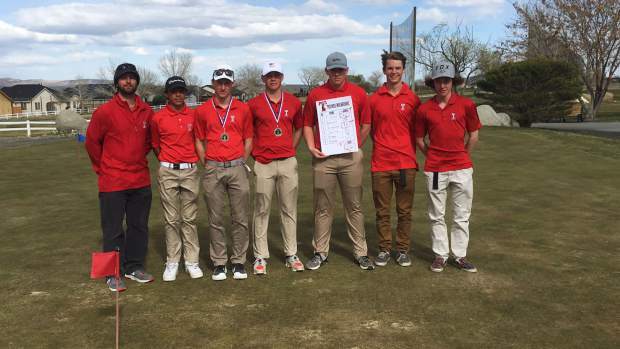 The Truckee boys’ golf team continued its dominance with two more decisive team victories in the Nevada Interscholastic Activities Association Northern Class 3A Region. On Monday, March 25, the team overcame windy conditions and a slow start to claim their third straight league victory, picking up the win at the nine-hole Winnemucca Golf Course. Sophomore Ethan Flynn battled through some tough breaks early in the round to finish with an 8-over-par 80, earning first-place honors. Flynn has won three of the five tournaments so far this season. Truckee junior Owen Slusher and sophomore Jack Brown were joined by Lowry’s Dillon Patterson tied at 81 at the end of the round. The Class 3A league has adopted a sudden death playoff for players finishing first through third, instead using a scorecard playoff. On the first hole of the playoff to decide second and third place, Slusher was eliminated after making bogey, leaving Brown and Patterson to duke it out for 2nd. Both hit great drives on the next hole, but Brown then missed the green left and Patterson threw a dart 8 feet from the pin from 175 yards out, essentially forcing Brown to hole out his chip to continue the playoff. Patterson would get the win in the playoff to take second and Brown finished third. Truckee freshman Gabe Smith took fifth with an 82. 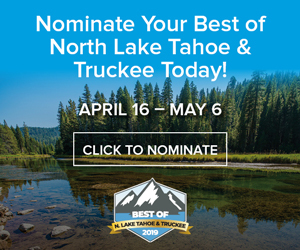 Truckee finished with four of the top five scores on the day. Senior Ryland Ward fired a 96 while Patrick Hogan carded a 114. Truckee’s top four scores finished with a 324, besting second place, Lowry, by 28 strokes. On the second day of the trip, the team traveled to compete at The Golf Club at Fernley, marking the fourth league match of the season. The weather cooperated with less wind, allowing everyone to shoot lower scores. Flynn grabbed back-to-back tournament victories, firing an even-par 72 to edge out Elko’s Cade Chappell (74). For the second day in a row, Truckee’s Slusher (76) found himself in a playoff for the third-place medal, this time against Fernley’s Taylen Patrick. After pounding drives on the 420-yard first hole, Slusher flagged a lob wedge from 85 yards, while Patrick missed the green long. When Patrick was unable to get up and down for par, Slusher’s two-putt par was good for to win the playoff and take third place. Brown (77) and Smith (81) rounded out Truckee’s scoring. The Wolverines finished with a team total of 306. 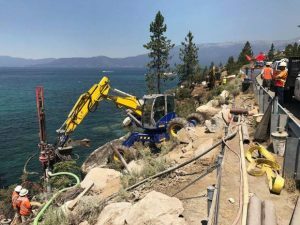 Truckee’s Ward is starting to find his groove, firing a 98. 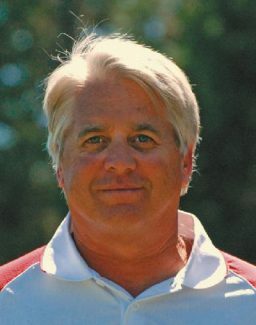 Pat Hogan shot a 101, which was 13 strokes better than the prior day. The team will be driving regularly to Reno for practice over the next few weeks until their next tournaments in Elko and Spring Creek, beginning Monday, April 15.